During his studies at A.U.K, Mr. Valon Osmani was named the best student in his concentration field of Public Policy. With a second concentration in Economics, he served as Vice President of the Economist Club. 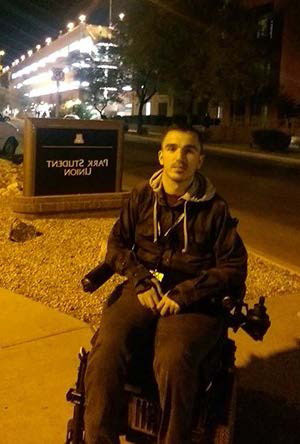 Valon’s studies in these areas have equipped him well for his interest in issues of poverty and inequality, the primary focus of his Master’s degree graduate program at the University of Arizona in Tucson. Valon stated that “The opportunity to study in the U.S. is a chance that knocks on your door once in your life. Given the cost of education in the United States of America and the possibilities that the Kosovars have to face such a cost, to be given a USAID scholarship is an honor for me not only, but al- so for all others who have had the opportunity to win this scholarship.” When it comes to winning, A.U.K alumni have excelled; Valon is joined by many A.U.K graduates who have earned USAID scholarships.